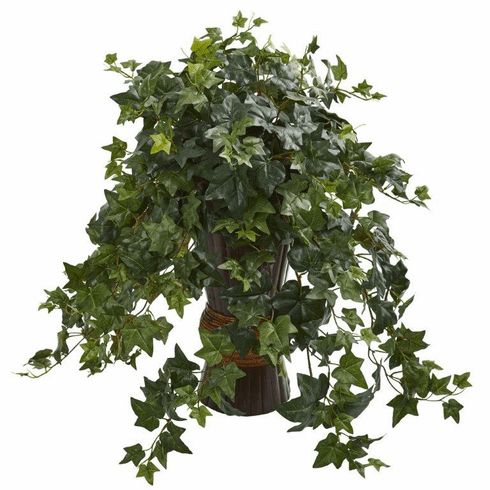 Fixed in a bamboo planter, the vibrant green leaves of this ivy artificial plant complement the earth-tone coloring of the planter. When placed in a study room, either on an end table next to a low bench or on a plant shelf, it will breathe life into the space. At the same time, though, it won�t stand out and accent the room. Instead, it will beautifully supplement any mahogany furniture pieces. Size: Height: 28 In. Width: 18 In. Depth: 18 In.